During the years of Covenanting struggle (and at other times), Dumbarton Castle was used as a jail. Many Covenanters were held here. 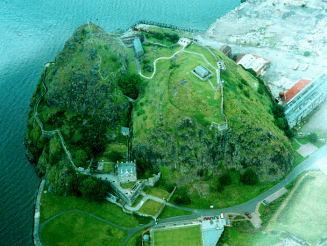 Dumbarton Castle occupies the ancient fortified site better known as Dumbarton Rock. The castle is proectd by Historic Scotland and is regularly open to the public. For more nformation, see the official website.